Literature greeted photography warmly when the daguerreotype was announced in 1839, and they have had a close relationship ever since. This remarkable book traces comprehensively for the first time the give and take between these sister arts by gathering writings about photography and photographs by and of writers mainly from England, Europe, and the United States, but also Mexico and Japan, over the last century and a half. Included are selections by avid amateur photographers (such as Lewis Carroll, Émile Zola, August Strindberg, George Bernard Shaw, Jack London, and Eudora Welty, among numerous others), professional photographers writing about literary matters (Nadar on Balzac, Stieglitz on Stein, Man Ray on Hemingway), and collaborators explaining their work (Henry James and Coburn, Steinbeck and Capa, Capote and Avedon). Most selections are illustrated with photographs and documented by notes which help map this rich field. Because academic boundaries have long separated literature and photography, Europe and America, and the nineteenth from the twentieth centuries, even the most knowledgeable readers will find surprises here: photos by W. H. Auden, stories about photographers by W. S. Gilbert and Arthur Conan Doyle (both enthusiastic photographers), remarks by and portraits of Mark Twain, who also used photographs as illustrations, and an unpublished essay about family photographs by John Updike. But Jane Rabb does not neglect the familiar. 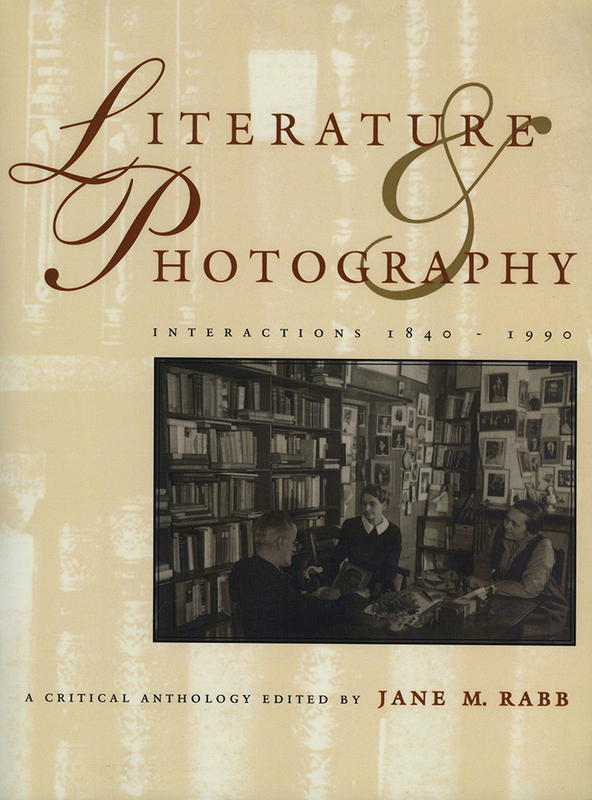 Hawthorne's daguerreotypist, the Virginia Woolf-Julia Margaret Cameron connection, the Evans and Agee partnership, the dual achievements of Wright Morris, and Howard Nemerov mourning his sister Diane Arbus are also included. From Edgar Allan Poe's "The Daguerreotype" to John Baldessari's "Baudelaire Meets Poe," Jane Rabb has gathered the first and last words about photographs and photography.